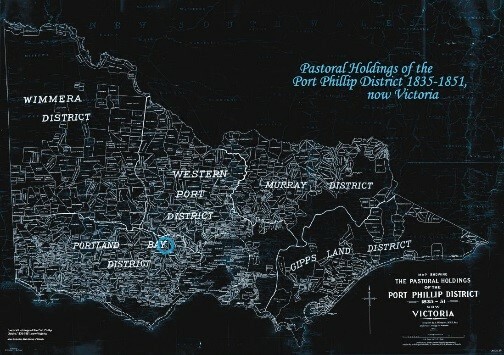 During the 19th century, what we now call the State of Victoria changed dramatically. In 1800, it was an organised collection of Aboriginal cultural landscapes, and by 1900, it was dotted with new industrial cities while the countryside was covered by farms featuring exotic animals and plants. With the introduction of European farming, the feverish gold rushes, a huge increase in population, and the impacts of the Industrial Revolution, Victoria’s landscapes were completely redesigned in less than a century. Let’s explore how and why the landscape changed, and reflect on some of the consequences of this change. For tens of thousands of years Victoria’s landscapes were carefully managed by Aboriginal people to produce food, fibre and medicine. In Ballarat, the Wadawurrung people farmed many plants and animals (and in some places still do today), often using fire to weed certain areas or to promote new growth. For example, on the sunny plains they farmed the murnong – a root vegetable like a mini-sweet potato. In forest areas with lots of old trees, they farmed the brushtail possum – the meat was eaten while the pelt (the skin with the fur on) could be turned into warm, waterproof clothing. By looking after landscapes carefully, they made sure there would be plenty of murnong and possums for the next generation and the many who would come after them. Such landscapes are today called Aboriginal cultural landscapes. After 1835, when hundreds and then thousands of European immigrants – mainly English and Scottish people – arrived to colonise South Eastern Australia with their flocks of sheep, traditional Aboriginal lifestyles and landscape management practices were interrupted. In the following sixteen years, almost all of what came to be called Victoria was divided up and made the private property of individual European farmers (known as squatters) and their families, leaving only the largest mountains and deserts un-colonised. The huge amount of wool that was produced as a result of this was sent to the new factories of England, and made many of these squatters very rich. Some historians believe this was the fastest land-grab in human history, with fences, foreign animals and protective European farmers with guns taking over. This meant the food, fibre and medicine that was being produced across Victoria’s landscapes changed radically in a very short time. A map of Victoria which demonstrates how quickly European colonisation happened in this part of Australia. Reproduced with permission from the Gold Museum Ballarat Collection. It is thought that the murnong was nearly extinct within 1-3 years after the arrival of sheep, because these new animals ate it and at the same time changed the nature of Victoria’s soils with their hard feet. Now, murnong is only found in a few places across the state. It fed people for tens of thousands of years (thought to have eight times more nutrition than the potatoes we buy from the supermarket today) and was a staple of Aboriginal diets all across South Eastern Australia (meaning it was eaten regularly, like most Australians now eat bread). Its sudden disappearance had grave consequences for 19th century Aboriginal communities. The rapid changes to local landscapes left many Aboriginal people hungry. Occasionally they stole sheep, fruit and vegetables from the European farms to keep their families from starving. Some of the squatters reacted by killing the Aboriginal people who took these possessions, or any other Aboriginal people they found on or near their farms after a theft had taken place. As a result, we know that at least 69 massacres of Aboriginal people (where 6 or more people are killed at a time) occurred during the first sixteen years of European colonisation of what we now call Victoria. Many Aboriginal people survived this period in our history – commonly called the “Squatter Era” – by adapting to the new colonial culture and economy. This often meant learning English, wearing European clothes, and eating the foods common to a European diet at the time. Due to this cultural change and a lack of access to land, Victorian Aboriginal people could no longer practice their landscape management to produce the foods, fibres and medicines of their ancestors. The old staple foods of murnong and possum had been replaced by wheat and lamb. William Strutt, Black Thursday, February 6th. 1851, 1864. Reproduced with permission from the State Library of Victoria Collection. The largest fire in Victoria’s history happened in the summer of 1851. It burnt one quarter of the state, killed millions of animals, and a handful of people. Some believe this fire was so ferocious because Aboriginal people had not been able to practice traditional landscape management techniques (like firestick farming) for the 16 years beforehand, thanks to the arrival of sheep farmers. This meant that “fuel” (like dry leaves, branches, dead trees etc.) had built up across the state, making this a devastating fire both economically and environmentally. Then, in 1851, some of Victoria’s landscapes began another transformation – the rush for gold brought thousands of new immigrants with shovels, axes and gold pans, eager to find their fortune. These gold seekers quickly multiplied (more than 500,000 new arrivals came to Victoria from all over the world between 1851 and 1861, which is the fastest population increase that Australia has ever experienced) as did the environmental change they caused to landscapes in the hunt for shiny yellow metal. Most did not plan to stay on the goldfields – or even in Australia – for long, and thought little of the lasting environmental impacts of their mining activities. Soil was upturned, rivers diverted and polluted, and trees were cut down at a rapid rate. These new arrivals all needed food, shelter and water, and took whatever could be collected from local landscapes, causing a number of plants and animals that had survived the Squatter Era to become locally extinct. After the social change brought about by the Eureka Rebellion in 1854, many miners decided to stay and make goldfields like Ballarat, Bendigo and Beechworth, a permanent home. At this time, some local landscapes started to be protected for their beauty, or for their good soil for farming. However, this permanency also brought the Industrial Revolution to Victoria, with its wood-hungry steam engines and CO2 emissions. This transformed landscapes again. Trains, boilers, factories and foundries created urban industrial landscapes around Melbourne, Geelong, Ballarat and Bendigo which demanded yet more natural resources to be taken from local environments and re-purposed. Sovereign Hill employee in the role of Boiler Attendant feeds a boiler to produce the steam to power working steam exhibits. During Australia’s Industrial Revolution, lots of communities burnt wood from local forests, instead of coal like their European equals to power their steam engines. From this, modern Victoria as we know it today was born. There are many places across this state where sheep are still farmed, gold is still mined, and factories and foundries still operate. While Aboriginal landscape management practices were disrupted across most of Victoria for more than 180 years, in many places these practices are now being revived by Aboriginal communities and government agencies to help restore biodiversity, and manage bushfire risk. 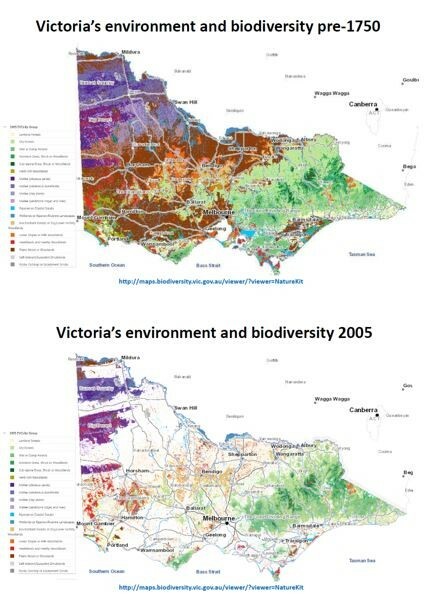 So, next time you travel around Victoria in a car/bus/train/plane, take a moment to think about how much the landscape has changed in recent history, and how it might change again in the future. Ford Maddox Brown, The Last of England, 1855, reproduced with permission from the Birmingham Museum and Art Gallery. Student visitors to Sovereign Hill often explore this painting during our education sessions because it can tell us interesting stories about the hundreds of thousands of people who came to Australia during the height of Ballarat’s gold rush. Painted by Ford Maddox Brown, it is entitled ‘The Last of England’. If we could, we would ask these people about the skills and ideas they are bringing with them to Australia, because these are the kind of people who shaped modern Australia into the country it is today. You can watch a source analysis of this artwork here. For better or for worse, European immigrants like these brought the Industrial Revolution, democracy, and a completely new agricultural system to this land ‘girt by sea’. Let’s explore these imported skills and ideas in more detail. The Industrial Revolution is the name historians use to describe the period in history when humans radically changed the way things are made (approximately between 1750 and 1900). Instead of making things by hand, we started making goods more cheaply and in larger quantities by steam-powered machines. These new machines were also used to move these mass-produced goods (steam trains and boats revolutionised transport). Democracy means rule by the people in Ancient Greek. It is a system of government (a way to organise our society) in which all adult citizens get the opportunity to participate in decision-making (most commonly through voting in elections to choose someone to represent their community in parliament). Agriculture is an environmental management system that creates food, medicine and fibre for human use. While Australian Aboriginal people have been practicing agriculture for thousands of years, European colonisation brought a new system based on plants and animals that aren’t native to Australia. Europeans realised there was gold in Victoria in 1851 at the height of the Industrial Revolution in Britain. In the same year Queen Victoria launched her Great Exhibition in London which showcased England’s new industrial technologies. Many of the six million people — equivalent to a third of the entire population of Britain at the time — who visited the Great Exhibition, were soon to join the mass migration to the Australian goldfields. They brought with them Industrial Revolution knowledge, experience and skills – many had ridden in trains, worked in factories, and believed that the ‘Age of Steam’ had made Britain the most powerful nation on Earth, and could have a similar impact on Australia. At the start of the Victorian gold rushes, only simple hand-held and often handmade technologies (like the ones in this sketch) were needed to find gold, but by the 1860s steam-powered machines were required to extract gold from deep underground. S. T. Gill, Prospecting, from The Australian Sketchbook, c.1865, reproduced with permission from The Gold Museum Ballarat. After the Eureka Rebellion in 1854, the muddle of goldminers’ tents that people called ‘Ballaarat’ (a local Aboriginal [Wadawurrung] word for resting place) became a more permanent city. As the easily accessible gold started to run out, these immigrants began importing steam-powered machines from Britain so they could mine for gold trapped deeper underground. This meant that Ballarat’s mining changed from an individual occupation to a company (group) project, and helped to keep people here once the initial ‘rush’ was over. Without these technologies (which among other things pumped water out of mines and fresh air in, powered elevators, and crushed quartz to extract its gold) the Ballarat gold rush would probably have come to a grinding halt. 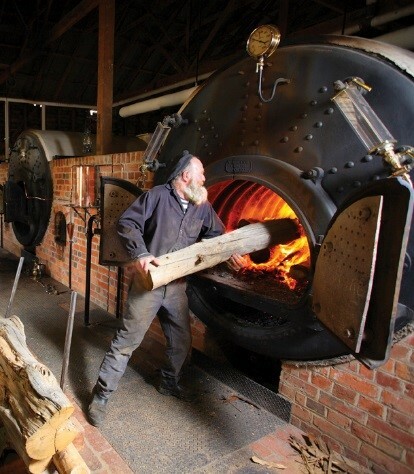 During the 1860s and 70s, many Ballaratians invested their gold wealth in local factories and foundries to build their own industrial machinery, such as steam engines and boilers. This meant that you didn’t have to wait a long time for your steam engine to arrive on a ship from the other side of the planet, you could instead purchase it (much more cheaply) from a foundry just down the road. The Phoenix Foundry in Ballarat – capable of smelting iron to create steam engine components and steam trains. S. Calvert, PHOENIX FOUNDRY, BALLARAT. – THE ENGINE FITTING ROOM (where Target in central Ballarat is located today) 1873, reproduced with permission from The Gold Museum Ballarat. Many Victorian towns had been built on gold by this time, but many withered and died as soon as their gold ran out, to the point that many are now ghost towns. However, Ballarat and Bendigo are major regional cities today, and although there are still gold mines in or near both, they do not rely on gold to continue to grow. So what are the things that decided whether a town would grow, survive or die after a gold rush? We think the answer involves the arrival of the Industrial Revolution in Australia. The decision to change the local economies and jobs in these cities from mining to manufacturing, helped these cities to continue to grow and thrive. Immigrants with experience building railways, factories, foundries, and deep mines back in Britain used their knowledge and skills to start an Industrial Revolution here. Had it not been for the gold rushes, it may have taken much longer for such steam-powered inventions to arrive in Australia. By 1900 the Ballarat region was dotted with steam-powered machines, and the people who lived here enjoyed mass-produced and therefore cheaply-made goods. Much came from local factories, but as steam trains and ships were making product transport much faster and safer than people had experienced before, buying things from overseas became easier than ever. Tractors and other farm technologies, along with introduced plants and animals (such as wheat and sheep) were also industrialising the way food, fibre and medicines were produced, and because we could support a growing population with jobs and food, modern Australia started taking shape. Australia’s Industrial Revolution did have some significant environmental impacts which should be explored – namely in the way it required lots of trees to be chopped down to burn in boilers (local wood was also used to build houses and line mineshafts). This deforestation devastated local forests and caused the localised extinction of many plants and animals. Due to advances in industrial mining and transport technology, when wood couldn’t be regrown fast enough to replace what was being burned/built with, Australians started burning coal to produce power instead (once huge quantities of it were discovered). Read more about the environmental impacts of the Victorian gold rushes and Australia’s Industrial Revolution here. While democracy – like the Industrial Revolution – was on its way to Australia one way or another, it is often argued by historians that the gold rushes and the Eureka Rebellion helped it get here faster. You can read more about this here. Some Year 9 students learning about the arrival of steam power in Australia and visiting many of Sovereign Hill’s related museum exhibits through the education session entitled ‘The Industrial Revolution in Australia’. In summary, we think that Australia’s Industrial Revolution was likely sped-up by the gold rushes. If you would like to visit Sovereign Hill to learn more about this topic, we offer an education session for students entitled ‘The Industrial Revolution in Australia’. How did we get from Miasma Theory to Germ Theory in the 19th century? The theory of evolution by natural selection, made famous by explorer and naturalist Charles Darwin in his 1859 book called ‘On the Origin of Species’. He explained that life on Earth has evolved (changed) over time as conditions (weather etc.) have changed, and as a result of the competition for resources (like food and water). Medical technologies like anaesthetics (to make you go to sleep and feel no pain), antiseptics (to keep wounds and medical tools clean), antibiotics (to kill bacteria which cause painful and often deadly infections), and vaccinations (making us immune to certain diseases). Understanding the role humans can play in the ‘Greenhouse Effect’ – if we put CO2 (carbon dioxide) into the air by burning fossil fuels like coal, natural gas, and petroleum (used to make plastics and fuels for cars) this can cause the atmosphere to heat up and change the climate. Scanning electron microscope image of Vibrio Cholerae. This is the bacterium (germ) that causes cholera, a big killer on the 19th century Victorian goldfields. Reproduced from Wikipedia Commons. In this blogpost, we will explore the scientific idea that microscopic germs exist, and how this idea radically changed the way we treat disease and deal with human waste. We are interested in this topic at Sovereign Hill Education because the 19th century gold rushes in Victoria were happening at the same time Germ Theory became popular. It changed the way Ballarat’s doctors did their work, and is the reason sewage pipes (that Ballaratians still use today) were installed under our city. Miasma = from the Ancient Greek word for ‘pollution’. For thousands of years, people (and their doctors) in many places around the world believed that diseases, especially epidemics (like the Black Plague), were caused by ‘bad air’ which was commonly called miasma in English-speaking countries. It was thought that breathing-in or being too physically close to bad air from rotting organic matter (like a compost heap or pile of dog poo) could cause the four liquids found in your body (blood, phlegm [like snot], yellow bile, and black bile) to get out of balance. People believed that the weather and seasons could also affect these liquids and cause sickness (click here to learn more about a related idea called Humorism). Miasma was thought to cause all kinds of diseases, from diarrhoea to chicken pox, from the flu to obesity! A representation by Robert Seymour of the cholera epidemic of the 19th century depicts the spread of the disease in the form of deadly air (miasma). Reproduced from Wikipedia Commons. Staying away from rotting and smelly things is smart because they can cause disease, so those miasma believers were on the right track, but it’s not the smell of these things that actually makes people sick. In the past, when doctors treated sick people based on this theory, treatments often involved draining some of their blood. We now know that such treatments could be more dangerous than the sicknesses they were treating – for example, in 1799 it is likely that George Washington was accidentally bled to death by his doctor while being treated for a throat infection! Germ = Late Middle English word (from an Old French word, originally from Latin) germen, which means ‘seed, sprout’. While the compound microscope (from the Ancient Greek for ‘small’ [mikros] and ‘to see’ [skopein]) was invented in the 1600s, it wasn’t until the 1800s that people realised they could actually see (through Lister’s improved microscope design) that germs – also known as microorganisms – existed, and could cause disease in people, animals and plants. A number of people had already tried to replace Miasma Theory with Germ Theory, but it took the work of scientists like Louis Pasteur and John Snow in the 1850s to popularise the idea that germs caused most diseases. Support for Miasma Theory didn’t completely disappear until the 1880s because, like any new scientific idea, it took a while to catch on. And unsurprisingly, people found it hard to believe in something they couldn’t see, until the technology came along to help them see it! The first doctor on record (named Ignaz Semmelweis) to suggest that doctors should wash their hands between patients to avoid spreading disease was completely ignored by other doctors … He eventually died in an lunatic asylum from a disease he could have avoided if only his doctor had washed his hands!! There are many scientific ideas through history which people laughed at, or ignored, which turned out to be true. You can explore some of the most fascinating ones here. How did these changes to the way we understand disease change our lives? By the time Germ Theory became popular, the Victorian gold rushes were well underway. In other parts of the world, the Industrial Revolution was creating factories around which cities were growing. Such hives of human activity like a mining centre or industrial city pushed people closer together than they had probably ever lived before in all of human history – and of course this meant diseases could spread more easily than ever from person to person. Knowledge of Germ Theory and the medicines it made possible over the next 100 years helped cure many diseases, but most importantly it helped to create more sanitary conditions, which meant people started living in cleaner houses and communities. For the first time, we started washing our hands thoroughly after going to the toilet, sterilising surgical equipment and removing and treating our sewage to make sure it didn’t end up in our drinking water. During this time, we began vaccinating children to help them avoid the most deadly diseases of childhood such as smallpox, and cleaning our teeth and bodies through the popularisation of soaps and toiletry products. In Ballarat, all of these Germ Theory changes reduced the death rate, particularly among children, and helped our city continue to grow. It affected the way we built the city and organised the infrastructure, like sewage treatment plants, hospitals, street gutters, and reservoirs (to collect and hold drinking water). Without Germ Theory, our lives would be just as brutal and short as those of our ancestors who lived during the rule of Miasma Theory. What is gold and why do we like it so much? In response to the many questions we receive like this from visiting students during our education sessions, let’s explore the origins of gold and our fascination with it. Humans can’t make gold, although many in the past have tried. And the Earth can’t make more of it even if we wait a couple of billion years. Only recently did scientists confirm the long-held theory that gold is created by the universe during supernovae (when neutron [dying] stars explode/collide). These violent astronomical events produce lots of the heavy metals we now use for things like ‘bling-y’ jewellery, as well as microcircuits for electronic devices like smartphones and tablets. Gold can even be used in food like this burger, which costs $AU81! This great video explains the creation of gold really well. People today use gold for all kinds of weird and wonderful things. We hope the 24 karat gold toilet paper isn’t a real thing. Pictured are gold pizza, gold sushi, a gold facial, gold toilet paper, a gold doughnut, a gold cappuccino, gold flies for fly-fishing, a gold turkey, and the $AU81 gold burger! Neutron stars are the densest objects in the known universe, and when their super-hot collapsing cores explode or smash into one another, they create elements like gold and silver. It is believed that such an event or series of events in the distant past created meteors containing gold and silver which then fell to Earth, delivering the precious heavy metals that adventurous miners sought to dig out of the ground in places like Ballarat and Bendigo during the 19th century. According to some research published in 2011, a meteor shower about 4 billion years ago dumped 20 billion billion (Wow!! That’s a big number!) tons of gold and other precious metals on our planet! The chemical symbol which you find on the periodic table for gold is Au (from the Latin word aurum meaning ‘shining dawn’). As gold is an element, it can’t be broken down into other substances, which is the reason humans can’t make gold themselves (although with the development of nuclear chemistry, one day we might figure it out). Why do we like gold so much? Many cultures around the world for at least the last 8,000 years have used gold for things like decoration/art, religious ceremonies, false teeth, currency, sporting medals, medicine, and more recently in human history, electronics and satellites. It is useful to us because it never goes rusty, it’s soft and easy to shape, it conducts heat really well, and it’s a beautiful colour. In scientific language, we describe gold as being dense (that’s why it’s heavy), malleable (soft and easy to bend) and lustrous (shiny). While some cultures have used it for thousands of years, others have not. For example, the Aboriginal people of Ballarat – the Wadawurrung people – knew of the gold that could easily be picked up from the ground across Western Victoria, but instead they valued much more practical and sustainable natural resources like brushtail possums, and certain kinds of stones useful for tool making. You can learn about how gold has been used by many cultures here. Ballarat is an alluvial goldfield, basically meaning that our gold has been brought here and is moved around by water (including underground rivers) and is often on the surface or not far beneath it. For miners in Ballarat at the beginning of the gold rush (from 1851 until about 1853), this meant they didn’t have to dig very deep underground to find big gold nuggets. By the 1860s most of that easy-to-find gold near the surface was gone, meaning miners had to dig much deeper underground to continue finding payable (enough to make a profit) amounts of the precious yellow metal. This is when deep lead and quartz mining really took off in Ballarat. The gold miners who came to Ballarat largely used gold to buy better lives (better clothes, housing, food, investments etc.) and the majority of the billions of dollars of gold found here was turned into gold sovereigns (English money made of gold, after which our museum – Sovereign Hill – got its name) or gold ingots (gold bars). Some however, was turned into spectacular, flashy pieces of jewellery, and even the beautiful mayoral chains owned by the City of Ballarat! If you visit a jewellery store, you will notice items made of gold are usually described as ’18 karat gold’ or ’10 karat gold’. A karat is a unit of measurement which explains how much gold was mixed into the alloy (a mixture of metals) that have gone into the making of that piece of jewellery. A carat is used to value gemstones and pearls. 18 karat gold jewellery has a higher amount of gold in it than 10 karat gold jewellery, which is why it is always more expensive. If, say, a ring is made from 24 karat gold, it is pure gold – but of course this would make it an easily bent piece of jewellery! The Castlemaine Goldfields is the only mining company in Ballarat still successfully finding payable gold underneath the city. There is still a lot of gold in the ground in this part of Victoria, but it’s very difficult and expensive to get out of the ground. 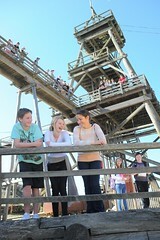 All of Sovereign Hill’s Education Officers are qualified and experienced teachers. When we’re not dressed up in 1850s costume teaching our visiting students, we create free educational activities to help you with your History, Geography and cross-curriculum studies at home or at school. Whether you’re studying the Australian gold rushes, the Industrial Revolution, Australia’s relationship with China, or Victorian Aboriginal history, Sovereign Hill offers a wide range of educational resources for students and teachers. 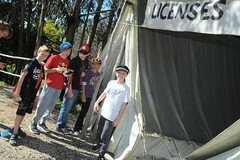 If you are a student preparing for a visit to Sovereign Hill with your class, check out this introductory video. You can also make use of our free research notes, videos, audio files and an interactive map published by Sovereign Hill Education here which might help you with projects/homework about our goldrush history. We have also published many blogposts – like this one – which can help you with your history studies; just take a look at the different ‘Recent Posts’ headings down the right-hand side of this page and click on the ones that interest you. There is also a ‘Search This Site’ bar just below the banner photo at the top which can be used to hunt for blogposts on more unusual topics. Type ‘tiger’ into the search and prepare yourself for some weird and wonderful goldrush stories! You can learn about Victorian Aboriginal history through the free ‘digitour’ (digital + tour) of Sovereign Hill called Hidden Histories: The Wadawurrung People. This digitour features videos, a game, an interactive timeline and lots of images/quotes from the 1850s-60s. 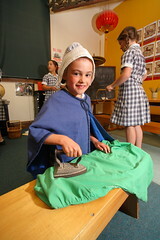 This digitour can be used on-site during a visit to Sovereign Hill, or at home/school. 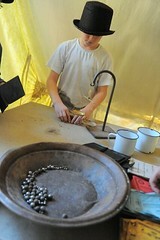 Sovereign Hill Education has also made learning activities for little kids who aren’t old enough for school yet. So if you are coming for a visit with your family and have little brothers or sisters, you might like to show them this webpage. Some ‘Social Stories’ have been published on the Sovereign Hill Education website to help visiting students with Autism Spectrum Disorder (ASD) have a good time – take a look at them here along with our other Accessibility resources. If you are visiting Sovereign Hill and you have ASD, you can ask at the entrance for a special ‘Sensory Map’ to help you have a great day at Sovereign Hill (by knowing how to avoid the loud noises etc.). 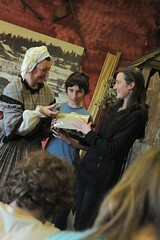 We have also made some videos about Sovereign Hill which are translated into Auslan. You can take a look at them here. 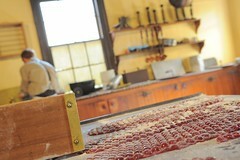 Most importantly, what are you going to eat during your Sovereign Hill visit? Take a look at the different food options here. If your teacher gives you and your friends some free-time, what can you do at Sovereign Hill apart from gold panning and bowling? Learn about all of our free-time activities here. Sovereign Hill Education publishes a wide variety of resources for your Foundation to VCE students – learn about how the Victorian Curriculum links to our resource collection here. Take the time to peruse and download some free teaching kits, or brush up on your history knowledge by reading a few posts on this Sovereign Hill Education Blog. There are also resources for children in the Early Years, EAL learners, students with ASD, a variety of maps to use before you visit with your class, and all of the information you need to plan a fun, safe excursion to Sovereign Hill at the Sovereign Hill Education website. It also features ‘Discover It Yourself’ learning activities for independent student exploration of Sovereign Hill, a dedicated page for Catholic schools, and a selection of ‘Learning Stories’ about teachers’ experiences in bringing their classes for an educational visit. Teachers who plan to bring students on excursion/camp to Sovereign Hill are encouraged to take advantage of Sovereign Hill Education’s wide variety of education sessions; all visiting classes receive one free education session with the cost of admission. You can also contact Sovereign Hill’s Education Officers prior to your visit to discuss alternative/bespoke education sessions to suit your students’ inquiry projects etc. The spectacular sound-and-light show ‘Blood on the Southern Cross’ is being revamped in mid-2018 – stay tuned for more information on our new and improved night-time experience! 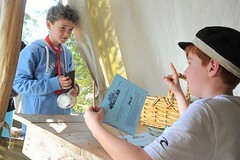 For all other enquiries about booking an excursion or school camp, call one of Sovereign Hill Education’s friendly Bookings Officers on (03) 5337 1188, email schoolbookings@sovereignhill.com.au or check out the Frequently Asked Questions webpage. 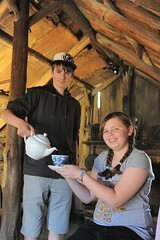 Did you know that teachers can sign up for a Sovereign Hill e-newsletter called ‘Educator News’? It provides a termly update of new free resources available from our website, new education programs for your students, along with information about special professional learning events and competitions/special offers. You can sign up here. If you have never visited Sovereign Hill before, sound like an expert as you guide your students around the outdoor museum by taking a look at these exhibit descriptions. In terms of selecting a date for your excursion, be aware that Sovereign Hill Education runs special education programs: to commemorate the Eureka Rebellion; to celebrate the Horse’s Birthday on 1 August; for Book Week; for Chinese New Year and much more. Simply contact us well in advance if you would like to book your class into one of these special education programs – spaces are limited and demand is high! Throughout the year, Sovereign Hill Education also offers a range of free and costed teacher professional learning opportunities, which are listed here. Stay up-to-date with the latest offerings by following the Sovereign Hill Education page on Facebook or on Twitter @GoldfieldsEd. Lastly, stay tuned for more information on Education Officer-led educational programming at the Gold Museum, beginning in early 2018. One of Sovereign Hill’s (pretend) nightmen, about to dig out a (pretend) cesspit to stop the spread of (pretend) deadly disease. Also known as a ‘night-soil remover’ (or in Tudor times, a ‘gongfarmer’), the nightman had one of the most revolting 19th century jobs imaginable – collecting human poo and wee for disposal. This stinky and dangerous job helped to keep cities safe from diseases like cholera, dysentery and typhoid, while moving our waste to the outskirts of town before sewerage pipes did the waste removal for us. Like all physical jobs in the 19th century, this was a job for a man. Preferably a man without working nostrils! Most days at Sovereign Hill, at 11.15 am, you can catch a street performance in Speedwell Street about the life of a nightman. This nightman is asked to clean out a ‘cesspit’, which means he has to dig all of the dangerous excrement out of an overflowing backyard poop-dump. At the beginning of the Australian gold rushes, the public management of human waste was pretty loose and experimental (and dangerous). One of Sovereign Hill’s exhibit outhouses just off Main Street. By ‘exhibit’, we mean that you can’t use it! 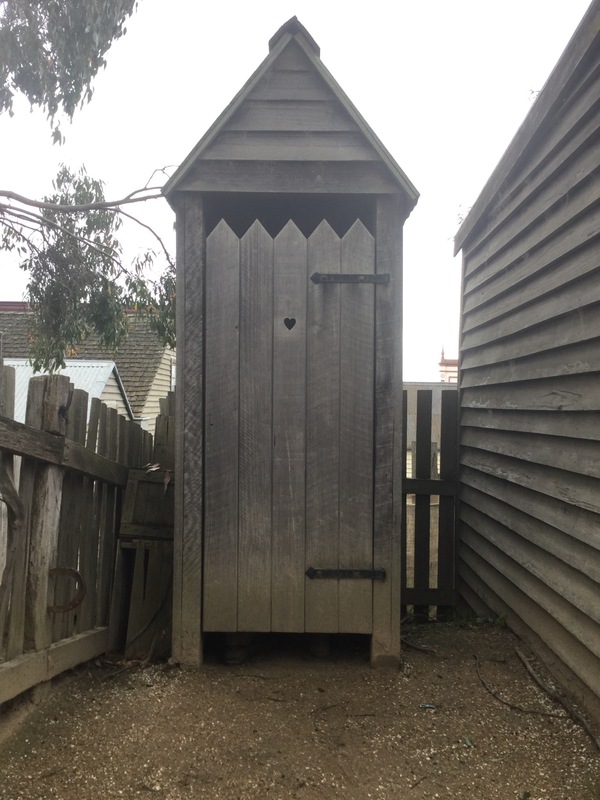 However, by the 1870s, many Ballarat families had built outhouses at the end of their gardens, which contained large buckets – or pans – which were accessible to the nightman via neighbourhood laneways (Bate, Weston. Lucky City, 1978, pp. 248-250,). Typically, members of such families would use a chamber pot indoors, and empty it into the outhouse pan for daily or weekly collection by the nightman. Some households built ‘privies’ or ‘boghouses’ instead, which were essentially drop toilets (where you do your business into a big hole) or were connected to a neighbourhood cesspit. Such large cesspits would need to be emptied by the nightman every couple of years to stop the dangerous waste from spilling into streets, cellars, and sources of drinking water. 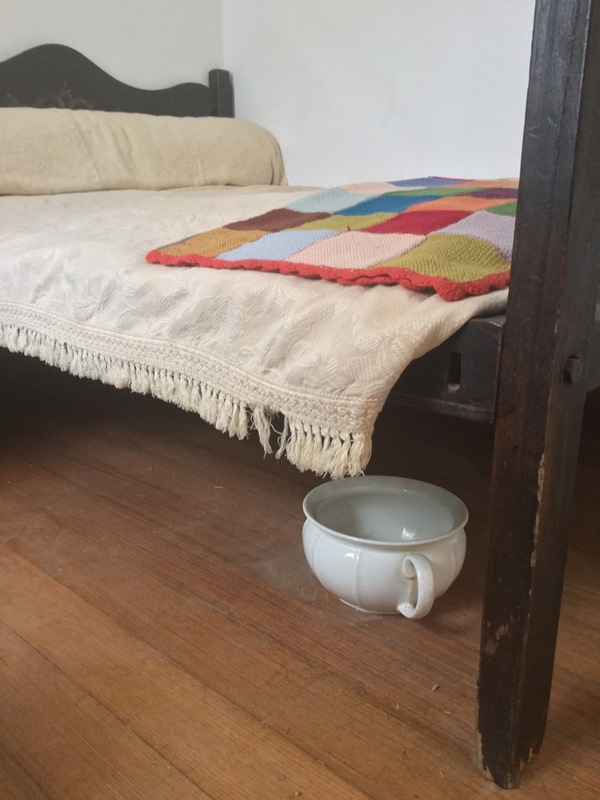 See the chamber pot in-situ underneath a bed in Sovereign Hill’s Speedwell Street. 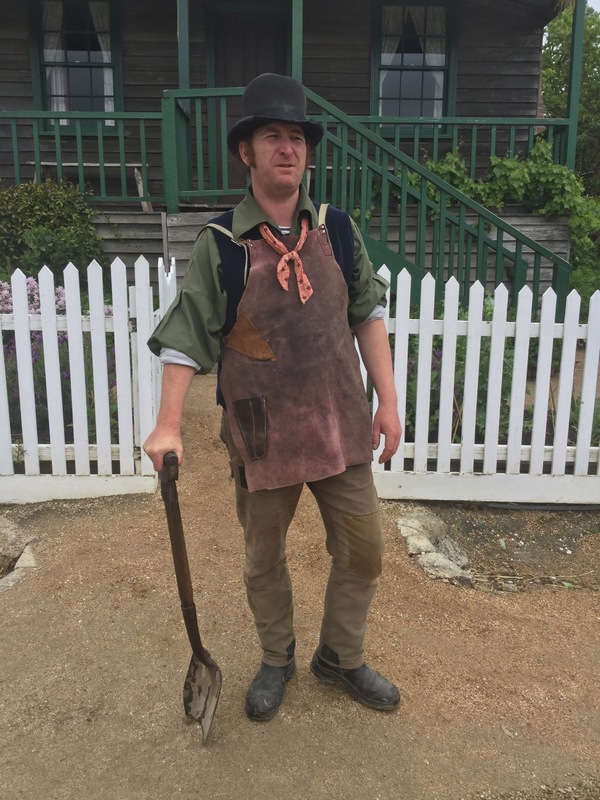 Nightmen typically did their work after dark, when the revolting odours that came with the job would least offend those living in the neighbourhood, although Sovereign Hill’s nightman is so busy he has to empty a cesspit during the day! In this performance, members of the neighbourhood claim this cesspit has caused an outbreak of disease. Waterborne infectious diseases spread very easily in the new cities created by the British Empire’s Industrial Revolution and Australian gold rushes, because many were built before we knew about germs (Germ Theory only began to challenge Miasma Theory [the idea that disease was spread by bad smells instead of tiny bacteria] in the late 1850s), and before flushing toilets, toilet paper, and sewerage pipes were invented. 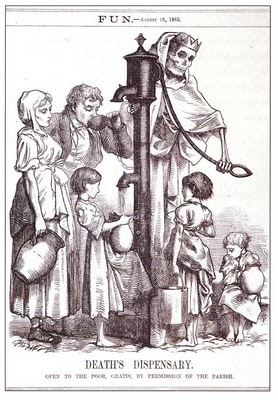 Drinking unboiled water in such towns and cities, which was pumped from the ground or collected from rivers/lakes, could easily spread deadly diseases like cholera, dysentery and typhoid, which basically saw victims poo themselves to dehydration and death. Today, these infectious diseases rarely occur in Australia, but they are still common in developing countries where sanitation (safely managing human waste) remains a challenge for poor and heavily-populated towns/cities. 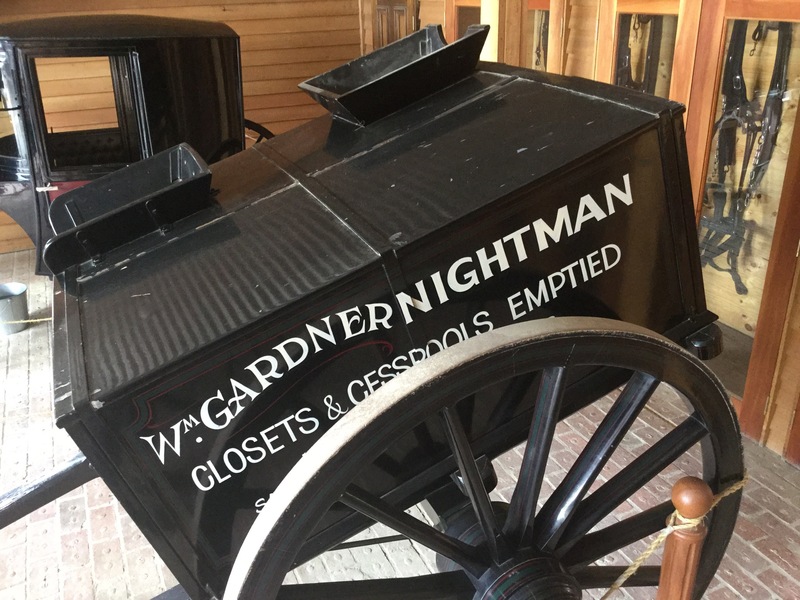 The kind of cart typically used by a nightman to transport nightsoil, visible at Sovereign Hill behind the Ragged School across from the Bowling Saloon. The nightman would empty an outhouse pan, or empty a cesspit using a bucket, into his horse-drawn tank. Once full, these tanks would then be taken out of town to be emptied on a paddock called a ‘night-soil depository’, or mixed in with other organic waste (food scraps, horse manure etc.). If the waste dried out reasonably well, it could then be placed in bags and sold to farmers as fertiliser for crops. Ballarat North, near the suburb of Nerrina, which is now covered in houses, used to be one of the main locations for dumping and drying Ballarat’s night-soil! Because of the high number of diseases carried in human waste, and the number of dangerous chemicals, medicines and hormones found in the poop of people today, human waste is no longer commonly used by Australia farmers to grow our food. 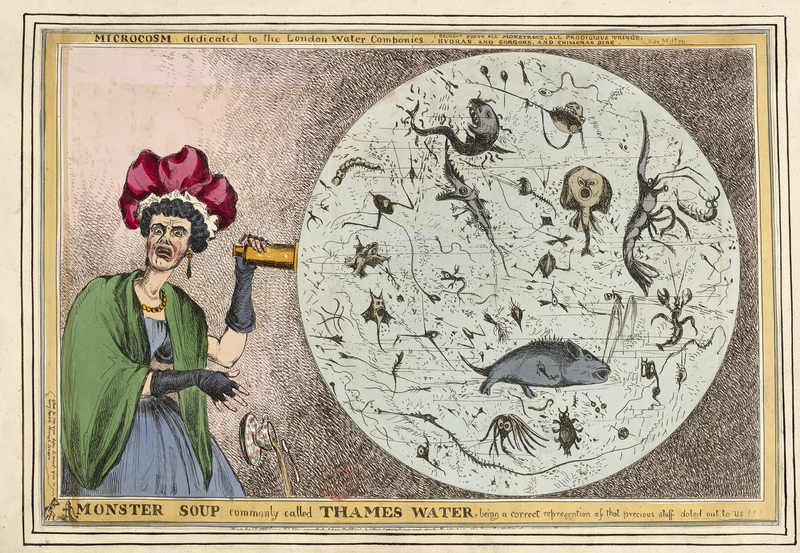 Check out this joke about London’s River Thames by William Heath, Monster soup commonly called Thames water, being a correct representation of that precious stuff doled out to us!!! Hand-coloured etching, c. 1828. Reproduced with permission from the British Museum. George J. Pinwell, Death’s Dispensary, Fun Magazine (1861-1901), 1866. A woodcut illustration depicting London’s often deadly water supply. Ballarat now has 650kms of wastewater pipes under the city, and these take our waste to be treated at the Ballarat South Wastewater Treatment Plant, the Ballarat North Wastewater Treatment Plant, and another small sewage depository in Cardigan Village. Once treated, this waste water ends up in our local rivers and lakes, and eventually the ocean near Barwon Heads. But rest assured, by that time the water has been made safe enough to swim in … And believe it or not, the swan poo in Lake Wendouree is more likely to make the water dangerous than the treated human waste in there! Bate, Weston. Lucky City, Melbourne University Press, 1978. 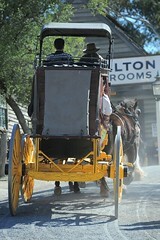 Sovereign Hill is an outdoor museum about Victoria’s 19th century history. Specifically, the exhibits and costumed characters who interpret them tell stories about the impacts of the gold rushes and the arrival of the Industrial Revolution in Australia. But how does The Sovereign Hill Museums Association decide what stories to present at the outdoor museum? In recent years, we have chosen to increase the visibility of Aboriginal stories and perspectives on the gold rushes, because in the past Sovereign Hill was criticised for appearing to leave these stories out of its presentation of Victoria’s history. We now present a more accurate and fair story, and believe we have found a balanced, middle ground viewpoint on the Australian History Wars. What do you think? What are the Australian ‘History Wars’? the decision to include new ‘voices’ in the story, or to emphasise the role played by a group of participants who have been left out of the story until now (for example, Claire Wright wrote a history book about the women involved in the Eureka Rebellion in 2013). In the case of the History Wars in Australia, historians (and politicians) have been arguing about the colonisation of Australia for a long time, and whether or not it was a peaceful process, a blood-stained invasion or something in between. The History Wars see people arguing about the historical facts – new evidence is being unearthed regularly, new ways of interpreting old evidence are being explored, and new voices in history are becoming louder. These four prints by goldrush artist S. T. Gill highlight some of the relationships that existed between Aboriginal people and European colonisers in the 19th century. They capture the complicated nature of Australian history, and the difficulty historians have when trying to give a true and fair account of our story. From top left: S. T. Gill, Cattle Branding, 1869, Attack on Store Dray, 1865, Kangaroo Stalking, 1865, Native Police, 1864. All reproduced with permission of the Gold Museum, Ballarat. While the old saying that ‘History is written by the victors’ is no longer true, the Australian History Wars demonstrate how difficult it can be for historians to get the details of the story right, especially when it comes to the impact Australia’s recent history has had on Aboriginal and Torres Strait Islander people. But is there ever going to be a ‘right’ way to understand our history? Probably not (these kinds of questions are studied in historiography, which you can learn more about here). Let’s try to better understand the two sides of the Australian History Wars. Some historians believe the historical evidence we have about the creation of modern Australia tells the story of brave, adventurous Europeans who came to this continent and tamed the ‘wild’ landscape to produce food (through European-style farming) and useful minerals (through mining). The historical evidence used to tell this story mainly uses written accounts like diaries, official government records and newspaper articles from the time etc. This version of our history celebrates the achievements of Europeans and the British Empire in Australia, and focuses on the stories of the pioneers who came here after the convict period to create what is one of the richest countries in the world today. While historians who support this interpretation of the facts might admit that some Aboriginal and Torres Strait Islander people were killed in the process of making modern Australia, or at least had their traditional lifestyles brought to an end by European colonisers, they argue that these were rare events or accidents, and shouldn’t be the main part of the story of Australia. At best, it presents a history of Australia that is heroic and inspirational, at worst it presents a history that is Eurocentric and nationalistic. Many supporters of this view want Australia Day to continue to be celebrated on 26 January, the day the Union Jack flag was first placed in the ground of Sydney Cove by Governor Arthur Phillip, leader of the First Fleet. Some historians believe that the Australian story is an ancient one, and begins more than 65,000 years ago. This version of our history views the arrival of Europeans after 1788 as a time of abrupt, and often violent cultural, economic and environmental change, resulting in the British Empire’s colonisation of the entire continent regardless of Aboriginal and Torres Strait Islander people’s claims to sovereignty (meaning ownership of land). The historical evidence used to tell this story includes both written accounts and oral history accounts. While the Black Armband View acknowledges the decisions made (mostly by Europeans or people of European ancestry) which have turned Australia into the rich country it is today, it places the impacts of these huge changes on Aboriginal and Torres Strait Islander peoples at the centre of the story. While historians who support this interpretation of the facts might admit that European colonisers in Australia didn’t always deliberately act in damaging and hurtful ways towards Aboriginal and Torres Strait Islander people, they argue that massacres and murders of Australia’s first peoples were common, even if they weren’t always written down/recorded. They sometimes call this time of regular conflict between European colonisers and Aboriginal and Torres Strait Islander people (from 1788-1934) the ‘Australian Frontier Wars’. At best, this view presents a history of Australia that is inclusive and fair, and at worst it presents a history that is shame-promoting, particularly in the eyes of many non-Aboriginal Australians. Most supporters of this view want the date of Australia Day – which some call ‘Survival Day’ or ‘Invasion Day’ – to be changed from 26 January to a ‘less hurtful’ date. Why do the Australian History Wars exist? In recent decades, some Australian politicians have demonstrated a keen interest in the History curriculum which is taught in Australian schools. As a result, the History Wars not only happen through academics, like historians, who write books, but also in Parliament, in classrooms and on television etc. This means that every Australian is pushed to form an individual position on the story of modern Australia. For a long time since 1788, the history of this country has been written by Europeans, or Australians of European ancestry, without much mention of Aboriginal and Torres Strait Islander people. For example, if you find an old Australian history school textbook, you might be surprised to read that it begins with the story of Captain Cook and then the First Fleet, and completely forgets the previous 65,000 years of human habitation on this continent in its introduction. When historians look for historical evidence to put the pieces of the history puzzle together, they mostly look for written sources of information. The oral histories of Aboriginal or Torres Strait Islander people often aren’t taken very seriously by historians, or at least weren’t until recently. This means that historical sources written by Europeans or Australians of European ancestry got all of the attention in the past, while spoken historical sources were largely ignored. One of the main arguments used by the Three Cheers View against the Black Armband View is the questionable use of academic references. This means that the historical evidence supporting the Black Armband View isn’t as strong and reliable as it should be. If you wish to learn more about the Three Cheers View of our history, read some of the history written by Keith Windschuttle. If you wish to learn more about the Black Armband View of our history, read some of the history written by Henry Reynolds. For a criticism of both sides of the debate, take a look at the writing of historian Geoffrey Blainey. The way we understand our national story impacts upon the way we see ourselves as 21st century Australians. The kinds of historical research methods we use to write history are never going to be perfect, as historiography tells us … And this debate even affects how we understand the origins of Australian Rules Football! The History Wars are fascinating, but it’s important to remember that in debating this topic, we’re not just throwing ideas and opinions around to promote thinking; we’re talking about real people from the past, who are dearly remembered by their living family members today. So, be mindful of this if you get into a public/classroom debate about the History Wars.